How to choose best inflatable kayak for fishing. 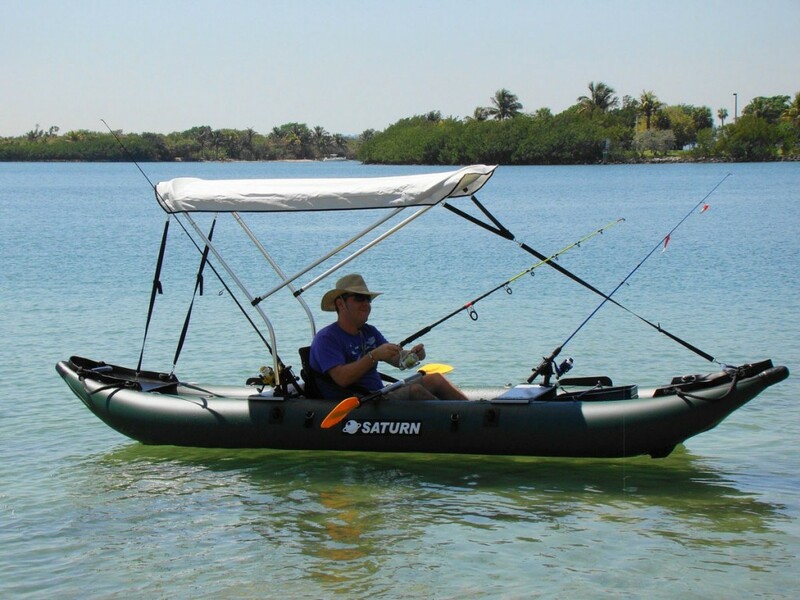 HomeBoatsToGo - Blog About Inflatable Boats, Inflatable Rafts, Inflatable Kayaks And More...So You Need A Fish Catching Machine? Five Keys to a successful Inflatable Kayak Purchase. So You Need A Fish Catching Machine? Five Keys to a successful Inflatable Kayak Purchase. You want to make sure the boat you buy is a proper fit. Not everybody will be comfortable in just any old kayak. Many shops have demo days and this is a great way to test drive different models from different manufacturers. If there is not a local shop that does demos, they usually have rentals. Having the boat for the day and actually taking it fishing will really give you the best idea if it is the best vessel for your fishing needs. Remember, if you do not purchase the right kayak for your needs it will probably sit collecting dust next to that treadmill that was your new year's resolution to trim those twenty pounds off five years ago. Make sure that you can handle the length and weight of the kayak. Don't buy a 14-foot inflatable fishing kayak if your storage area is only 10 feet long. Also, make sure that you can easily load your new kayak onto to your vehicle. While pickups are the easiest for loading a kayak, that is not an option for everyone. A trick I learned a long time ago for loading onto an SUV is to get an old piece of carpet or a bath mat and put the fuzzy side down at the rear of your vehicle. This way, you only have to lift the nose of the boat and then you can push it up onto the SUV using the rear handle. If you decide on one of the hybrid jumbo boats, a trailer may be your best option. There are some nice kayak trailers available or if you are not mechanically challenged like me, you may want to try and convert and old jet ski trailer and save some money. Several manufacturers now have lines of pedal kayaks. This is a great option for hands-free fishing. It also allows for anglers to travel greater distances. Legs are stronger and you still have the option to paddle to prevent one set of muscles from fatiguing. As the majority of anglers choose paddle kayaks it is very important to select the right paddle. I always tell motor and, like in any boat, you do not want a clunky old engine to go with a sleek new hull. I always suggest a lightweight carbon fiber paddle, but a $400 price tag is not always in the angler's budget. That being said there are some nice fiberglass shafts in the $150-200 range. Most kayaks do not come with rudders but, in my opinion, this is an add-on that any fishing kayak cannot do without. Whether you are drifting a shallow flat stalking redfish or working a rod line flipping frogs for trophy large mouth, it is essential to be able to control your kayak without grabbing for the paddle every two seconds. It may sound like a broken record, but the more time you spend with the rod in your hands instead of the paddle, the more fish you are going to catch. The other essential item to make you a successful is an efficient anchoring system. When fishing the shallows, I have found that a stake out pole is the most efficient as it works as a brake, as well as an anchor. This is great as it keeps you from running over your quarry. An Inflatable Kayak may be silent to you, but fish can feel it push the water on the Flats. In deeper water chose an anchor that will keep you in place in the depths. I have found that the standard fold up anchor is not that efficient. I suggest using a fluke style or river claw depending upon the body of water you are fishing. If you plan on some extreme fishing for monsters that outweigh your kayak, you may want to think about a breakaway anchor / float system.